Help your child find their voice! Michele Miller is not accepting clients from this site. I did not authorize any listing on this site. all information is to be disregarded and my privacy maintained as I did not give the information provided on this site. please delete this personal information asap as it is inaccurate and does not reflect a the parameters of this practice. Susan Surell is a speech-language pathologist in Baltimore, MD. Practice Type: • Office Practice Areas: • Speech Language Pathology • Language acquisition disorders • Learning disabilities Take the next step and contact Susan Surell for a consultation in Baltimore, MD or to get more information. Nechama Makovoz is a speech-language pathologist in Pikesville, MD. Practice Type: • Home Health Agency - Client's Home Practice Areas: • Speech Language Pathology • Fluency and fluency disorders Take the next step and contact Nechama Makovoz for a consultation in Pikesville, MD or to get more information. Karon Zablonski is a speech-language pathologist in Baltimore, MD. 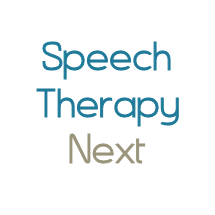 Practice Type: • Center Practice Areas: • Speech Language Pathology • Articulation and Phonological Process Disorders Take the next step and contact Karon Zablonski for a consultation in Baltimore, MD or to get more information. Speak, Eat, Learn, Sign, & Play!